I am in love with this app! MaarifaHub is an organisation, started in April 2014, that strives to “empower, educate and address the needs of all people of African descent”. The app (available on the AppStore and Google Play) contains a wide variety of features that involves increasing our knowledge of black history, a catalogue for black owned businesses in the UK, an e-library (where I’m currently reading the autobiography of Assata Shaku – a review will follow; I’m already in awe of her strength despite the police brutality she describes in the first chapter) and much more. 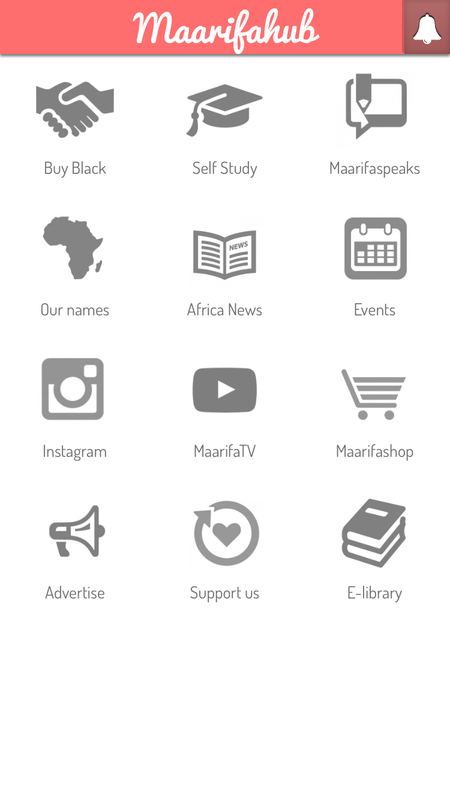 Maarifa means knowledge in Swahili, and this organisation is the epitome of black knowledge we lack due to the same white history taught in schools. What I love about this is app is it has everything I need, as a pro-black girl, handy on my phone. I can learn about the history of West Africa from the library, locate different types of online and local business, and has links to educative YouTube videos from great speakers such has Angela Davis and Dr Martin Luther King Jr.
As they aren’t funded by the government, they still need our support in order grow and achieve their wider goals including providing workshops and a clubs to further educate people. That’s really awesome! They also accept freelance bloggers to occasionally post on their blog; I’ve done a few for them☺️ Thanks for reading!